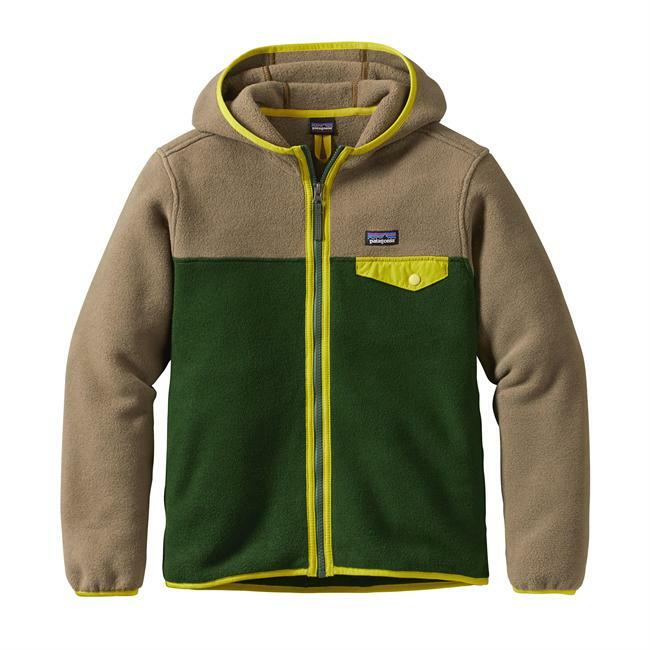 Bundle up your young adventurer in The North Face Chimborazo hoodie for boys. 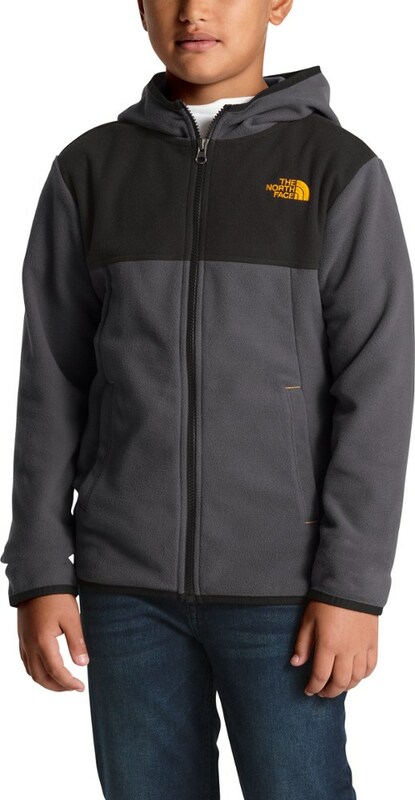 Cozy bonded fleece keeps him warm while secure zip chest pockets and hand pockets let him stash his stuff. 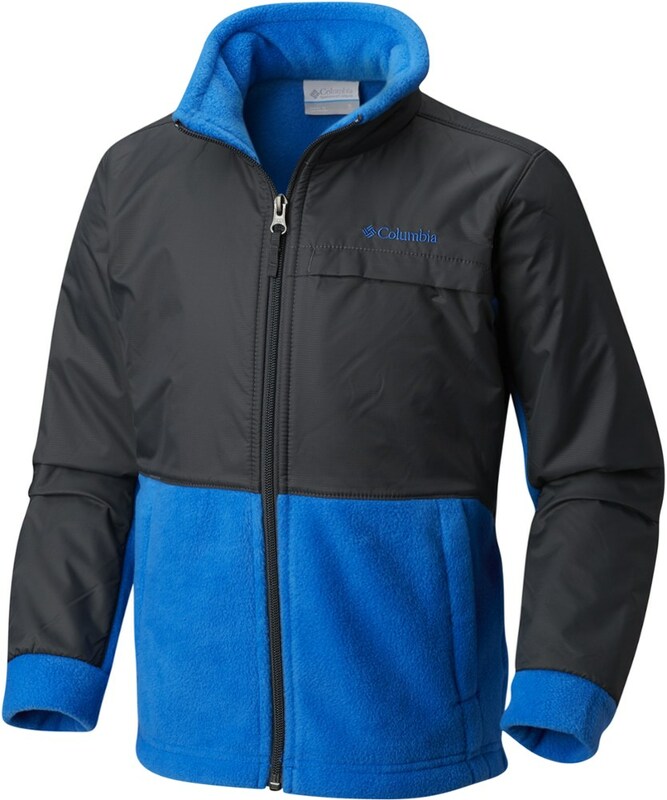 Bouncing into giant leaf piles, wandering sprawling apple orchards, layering up to shred the resort--The North Face's Chimborazo Fleece Hooded Jacket does it all with the cozy warmth and everyday performance your young explorer needs for his active lifestyle. 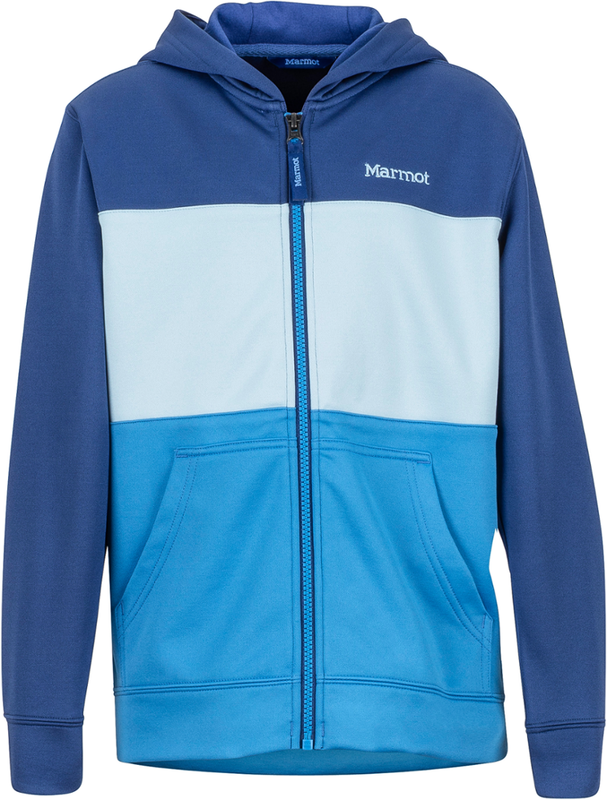 It's made using a bonded fleece with a soft Sherpa-fleece backer to keep him snug and warm on chilly walks to the bus stop. Raglan sleeves provide an enhanced range of motion for free solo routes on the jungle gym, while stretch cuff insets make for comfortable and easy layering when harsh winter weather comes around. CLOSEOUTS . 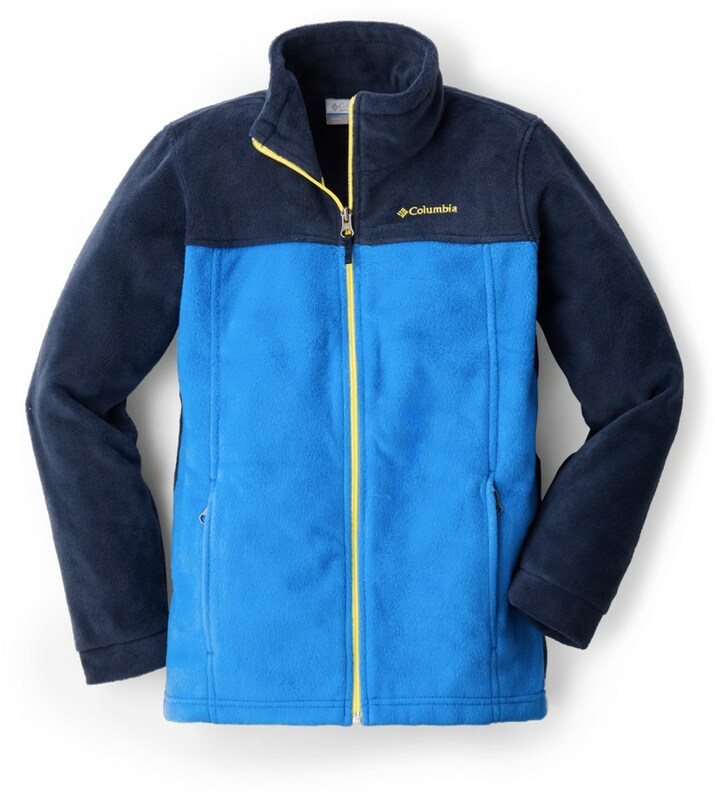 The North Face Chimborazo hooded jacket features plain weave polyester fleece bonded to a super-warm sherpa fleece lining for optimal warmth during chilly, breezy outings. 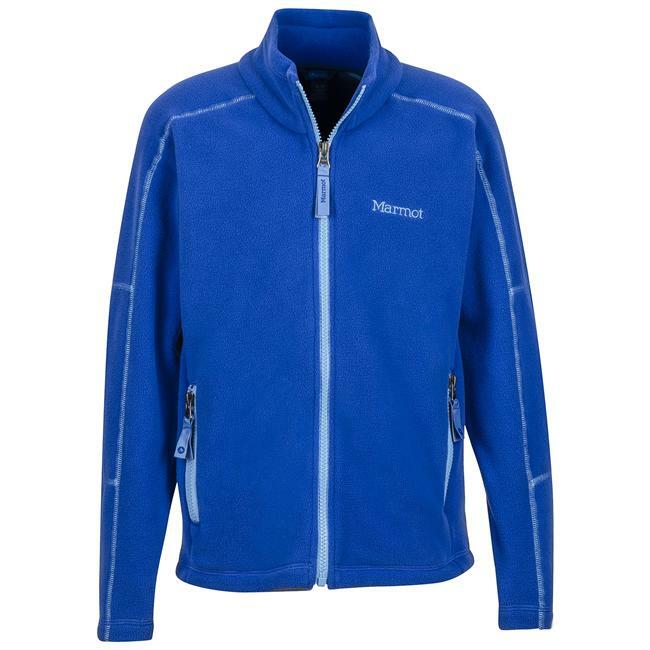 Available Colors: FIERY RED, MONSTER BLUE, TNF BLACK, ENAMEL BLUE, TNF BLACK COMBO, HONOR BLUE, BRIGHT COBALT BLUE, BURNT OLIVE GREEN. Sizes: M, L, XL, XS, S, 2XS.